Trail navigation. This is a straightforward out and back hike with heavily traveled trails. 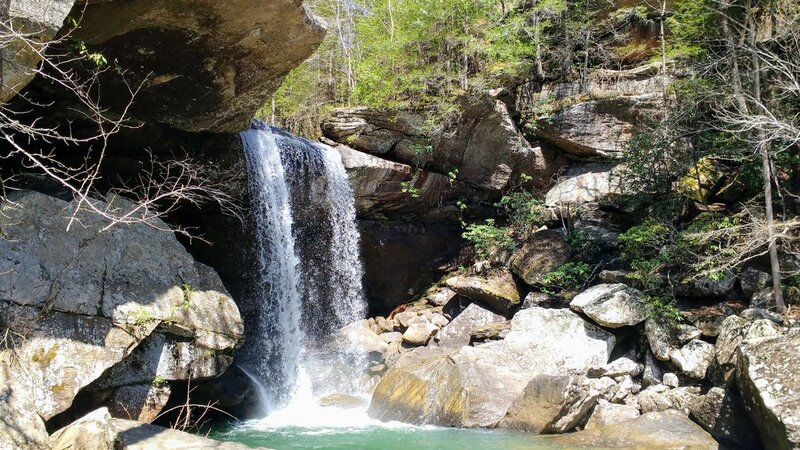 To reach the falls, follow the trail and descend the staircase to come out to the rocky shoreline of Cumberland River. From there, continue north to Eagle Falls. CAUTION - ROCK HOPPING. There is a good bit of rock hopping near Eagle Falls. Be careful with your steps and keep a close watch on young children.